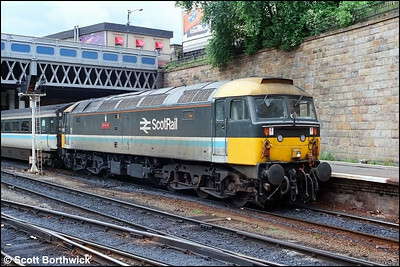 47536 awaits time at Preston with 2P29 0715 Preston-Barrow in Furness as 40024 prepares to depart with 1M17 0135 Stranraer Harbour-Blackpool North on 06/08/1983. 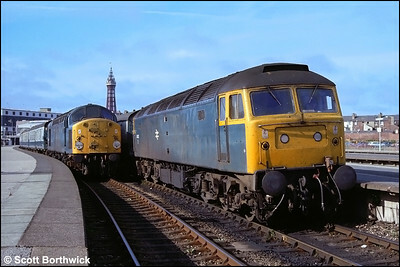 47452 awaits time at Blackpool North on 06/08/1983 with 1A35 0934 Blackpool North-London Euston with 40024 alongside on 1S91 0945 Blackpool North-Stranraer Harbour. 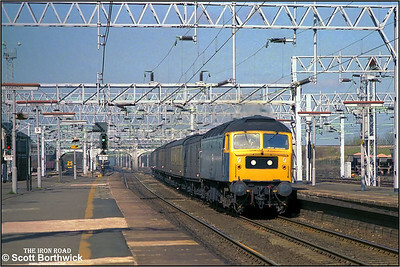 47284 speeds through Nuneaton Trent Valley whilst in charge of 3B05 0825 Bangor-Aylesbury parcels on 03/04/1984. 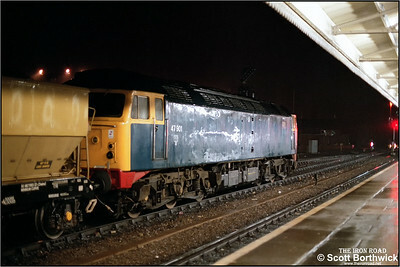 47118 keeps two of its sisters, 47361 'Wilton Endeavour' & 47120, company inside Inverness TMD at 1235 on 21/04/1984. 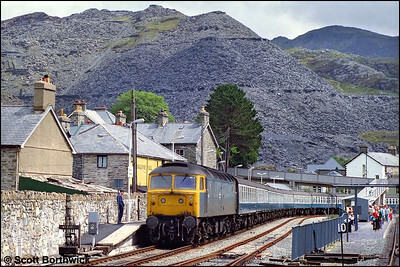 47540 awaits departure time at Blaenau Ffestiniog with 2D38 1330 Blaenau Ffestiniog-Llandudno on 02/08/1984. 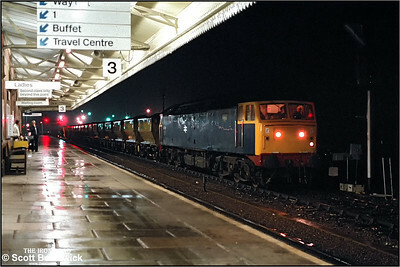 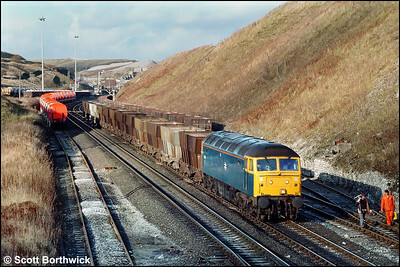 47901 pauses at Westbury with an aggregates train from Whatley Quarry at 2043 on 21/11/1984. 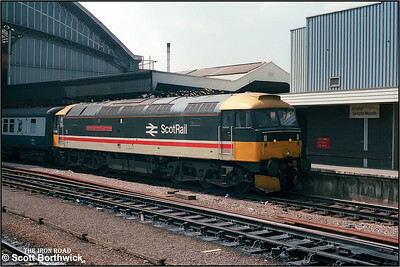 47708 'Waverley' awaits departure from Glasgow Queen Street on 15/07/1985 with 1O18 1030 Glasgow Queen Street-Edinburgh Waverley. 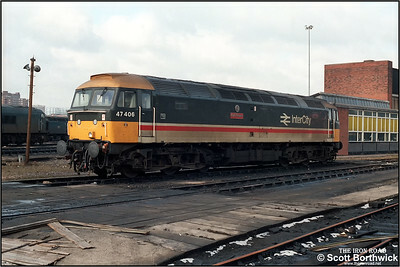 47406 'Rail Riders' awaits it's next working at Saltley LIP, February 1986. 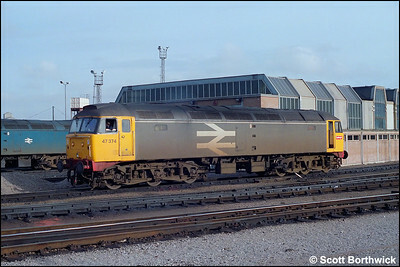 47374 stands on Bristol Bath Road TMD (BR) on 03/05/1986. 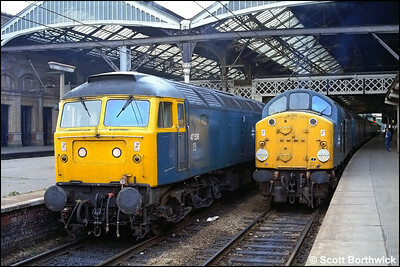 A long way from home, 47469 'Glasgow Chamber of Commerce' calls at Bristol Temple Meads whilst working 1E91 0933 Penzance-Newcastle on 09/08/1986.The loco had worked the train from Plymouth. 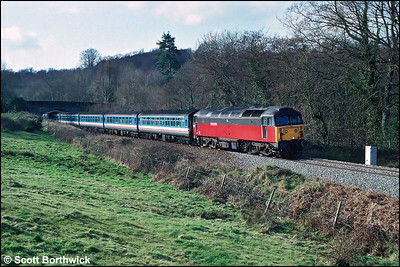 47621 'Royal County of Berkshire' works a route learning special to Buxton at Peak Forest South on 20/11/1986. 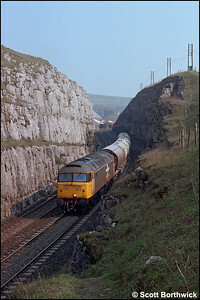 47258 passes Peak Forest South with 6H40 0917 Collyhurst Street-Great Rocks limestone etys on 20/11/1986. 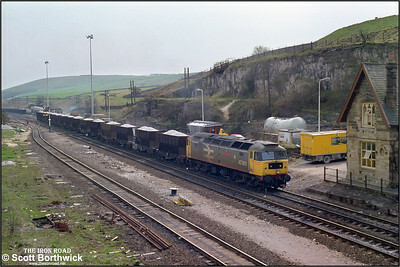 47363 passes Peak Forest South whilst working 6L41 0812 Tunstead Sdgs-Oakleigh Sdgs on 22/04/1987. 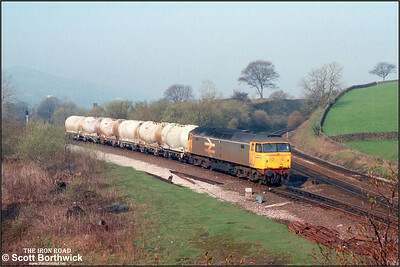 47236 passes through Dove Holes cutting whilst working 7F17 Peak Forest South SS-Warrington Walton Old Jnct on 23/04/1987. 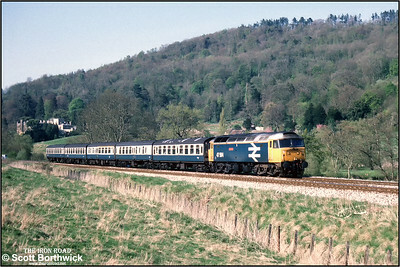 With the morning mist still lingering on the hillsides, 47236 approaches Chinley East Jnct whilst working a Peak Forest South SS-Earles Sdgs trip working on 23/04/1987. 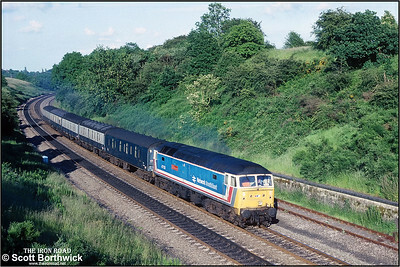 47564 powers 2O60 1615 Bristol Temple Meads-Weymouth at Claverton on 23/04/1988. 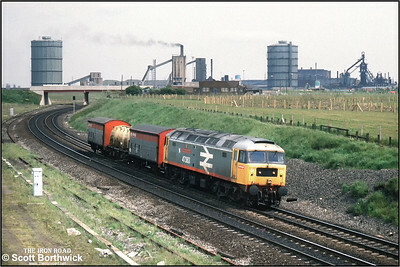 47363 is in charge of 9P79 ICI Wilton-Tees NY trip on 01/06/1988 passing Southbank, Middlesbrough. 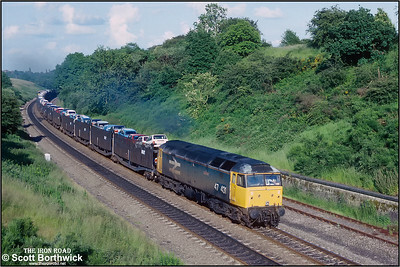 47431 'Silurian' powers up Hatton bank with 4M15 1500 Morris Cowley-Longbridge East on 01/07/1991. 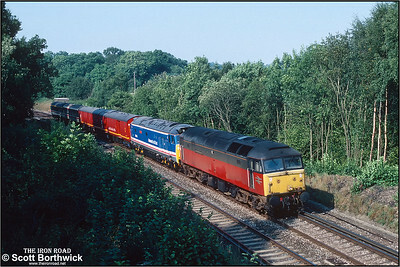 47573 'The London Standard' climbs Hatton bank whilst working 1M85 1432 Tonbridge SS-Preston PCD on 01/07/1991. 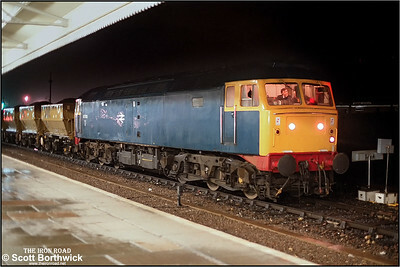 47227 passes Queen Adelaide whilst negotiating the Ely avoiding line working 1Mxx xxxx Great Yarmouth-Birmingham New Street on 14/09/1991. 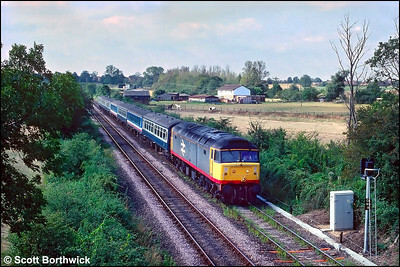 47522 'Doncaster Enterprise' passes Balcombe on 21/09/1991 hauling 50035 'Ark Royal' and an assortment of coaching stock from Old Oak Common to Brighton Lovers' Walk TMD for the following days open day in connection with the Brighton Line 150 celebrations. 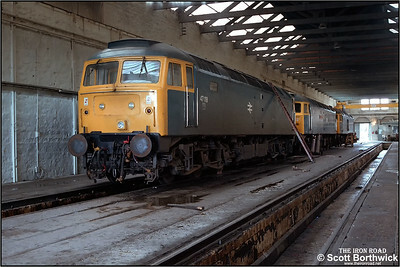 50035 was on route to St. Leonards Railway Engineering Ltd via the open day. 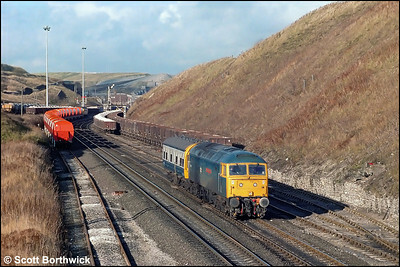 47703 'The Queen Mother' works the 1422 Exeter St Davids-London Waterloo at Cotleigh on 28/02/1992.